How Does Car Insurance Work in Idaho? How Much Is My Boise Car Accident Claim Worth? Who Is at Fault for My Boise Car Accident? If you need help obtaining compensation for injuries you sustained in an auto collision, contact a Boise auto collision lawyer today. When someone else was negligent and caused a car accident that seriously injured you, you deserve justice, and the at-fault party deserves to be held accountable. If you team up with a lawyer, you can help ensure that you and the person who caused your crash both get what you deserve. 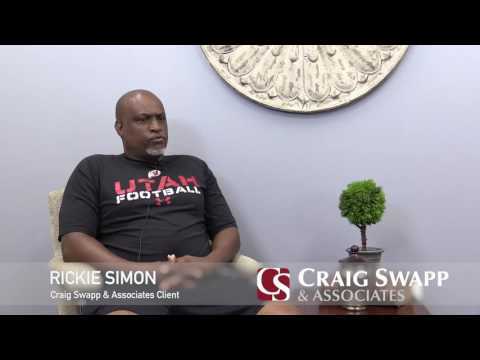 An experienced Boise car accident lawyer at Craig Swapp & Associates can help you file a personal injury claim to recover compensation for your injuries without anxiety surrounding your financial stability. It shouldn’t surprise you if your initial claim with the insurance company is denied. In fact, if the insurer approves your claim, it may be wise to reject the first offer because your claim is probably worth significantly more that what the insurance company will initially be willing to pay you. Insurers rarely, if ever, prioritize the needs of claimants above their own. As for-profit businesses, they lose money with every claim they pay. Due to comparative negligence laws, you can also expect that they will make attempts to place unwarranted blame on you for the cause of the auto accident, which, if successful, will decrease the settlement you’re entitled to. We can handle the insurance adjusters for you. We have years of experience dealing with dishonest insurers and will work rigorously to obtain the compensation you deserve in a timely manner. If we are unable to persuade the insurer to settle your Boise car crash case for a reasonable amount, we are prepared to bring your case to court to display the insurance company’s tactics for all to see. When someone else is primarily at fault for your injuries, you should never be expected to cover the costs you’ve accrued as a direct result of being injured. When we are seeking compensation, we will go over every way in which you have been or are expected to be affected by your injuries. Economic damages, or damages that pertain to money, are fairly easy to calculate because they already have a numeric value. You’ll have hospital bills and costs associated with copays, prescription medications, medical equipment, transportation costs to and from your doctor visits, and rehabilitative therapy, in addition to the wages you’ve been deprived of and the loss of your future earning potential. We can also include the costs of repairing or replacing your damaged vehicle. Loss of Consortium – This is the inability to continue having a loving relationship with your spouse. Pain and Suffering – This damage includes the physical pain you have been put through immediately following the auto accident and throughout your recovery. Mental Anguish – If you have become depressed or developed anxiety or your mental health has been otherwise compromised, this loss may apply. Loss of Enjoyment of Life – When you are no longer able to do things you used to enjoy, such as playing golf, dancing, or driving, you have suffered loss of enjoyment of life. Disfigurement – You can sue for disfigurement if you had to have a limb amputated, suffered burns that dramatically changed your physical appearance, or were disfigured in some other way. Once we are able to determine the complete value of your claim and provide proof of the ways in which your injuries will impact your life and the lives of your family members, we will have a better idea of what a fair compensation request will be. A number of individuals and institutions can hold part of the blame for your Boise auto accident. To begin, a local or state government road authority could have played a part in your injury if the agency did not properly maintain the roads. Failing to repair potholes, secure construction zones, replace damaged or missing road signs, or remove significant road debris could all point to the fault of the government. More often than not, the driver of the vehicle who hit you will have at least partial responsibility for your Boise car accident. Driving under the influence of drugs or alcohol; driving aggressively by speeding, making illegal turns, or following too closely; or driving while distracted by a cell phone, GPS system, radio station, or passenger are all dangerous driving practices that not only put the driver’s life in jeopardy, but the lives of others sharing the road. When the driver and road authority have done their part to protect the safety of others, vehicle parts manufacturers and technicians are assessed for their responsibility in the cause of the auto accident. If they installed faulty parts or failed to report parts that had been recalled, we can seek compensation from them for failing to ensure the safety of your vehicle or that of the other driver. Although every type of car accident is dangerous and can have serious, long-term effects on your life, auto accidents come in a variety of forms. The type of accident you had can help you understand who might be at fault. Additionally, different types of car accidents lead to different types of injuries. Head-On Collisions – When a careless driver slams into your vehicle head-on, the result is almost always going to be a serious injury. These car accidents can even be fatal in many cases. If you were a victim of a head-on auto accident, you might have suffered facial injuries, brain trauma, or harm to your spine or neck. Sideswipe Accidents – A sideswipe car accident can cause your vehicle to veer into another lane, potentially leading to a secondary car accident. Even if you manage to stop your vehicle before a secondary auto accident occurs after you’ve been sideswiped, you might suffer a broken arm or leg or trauma to the side of your head. Rollover Accidents – These car accidents typically happen to top-heavy vehicles like SUVs, but they can happen to any vehicle if a turn is sharp enough or a side impact is severe enough. A rollover can easily cause brain injuries, broken bones, and fatalities. T-Bone Accidents – A T-bone accident occurs when someone smashes into the side of your vehicle. This typically occurs at intersections when, for example, the at-fault driver runs a red light. T-bone crashes can cause spine injuries, broken bones, and death. Rear-End Collisions – Whiplash is the most common injury associated with rear-end auto accidents, but you could also suffer face and head trauma if the force of the impact causes your head to lurch toward the steering wheel or dashboard. Driver distraction is a major cause of rear-end collisions. All of your questions about your claim for compensation have clear answers; you just have to know where to look to find them. Look no further than a Boise car accident lawyer at Craig Swapp & Associates. Can I still sue if the other driver is uninsured? Yes, you can. While the insurance company would, under normal circumstances, be the one to compensate you up to a certain dollar amount, we can sue the liable driver directly in order to obtain the compensation you need to cover the damage of your car accident. How can I recover damages if I was involved in a hit-and-run? We may begin the process of filing your claim without naming the person who hit you until the police are able to identify who the culprit is. Once the driver is named, we can proceed. Some insurance policies contain provisions for hit-and-run accidents. What happens if something I did contributed to the accident? You may still be able to win compensation, but only if your portion of the fault does not exceed 50 percent. If it does, due to Idaho’s comparative negligence law, you will be unable to obtain compensation from the other involved party. The insurance company has asked me for a statement. Should I provide one? We do not routinely advise Boise car accident victims to make a statement to the insurance company. While it may seem as though the insurer just wants to figure out what happened, insurance companies have a terrible habit of using your words against you in an attempt to lower the settlement you are entitled to. A qualified car accident lawyer in Boise can communicate with insurers on your behalf. Should I file a police report? Filing a police report may not be required in every Boise car accident case, but doing so can only help your claim’s chance of success. Any additional documentation that can support your version of the events of the crash will be beneficial. Can I collect punitive damages in my claim? We can request compensation for punitive damages in the event that we are able to prove the behavior of the defendant was malicious or egregiously negligent. Punitive damages are designed to punish the wrongdoer for his or her actions and compensate you accordingly. If you’re ready to take the leap and file a personal injury claim so you can begin your recovery process without added financial worry, contact an attorney at Craig Swapp & Associates today. Our team of dedicated professionals will do everything in our power to get you the compensation you deserve after a Boise car accident that wasn’t your fault. You can schedule a free consultation with a qualified Boise car accident lawyer by calling 1-800-404-9000 or filling out the online contact form below. Paul Childs was amazing! I got rear ended and the other persons insurance said they weren’t at fault. My attorney worked so hard to get to that point and never stopped until he could get EVERYTHING taken care of. So I would absolutely recommend CS and associates to any one. Thank you so much for everything you did!